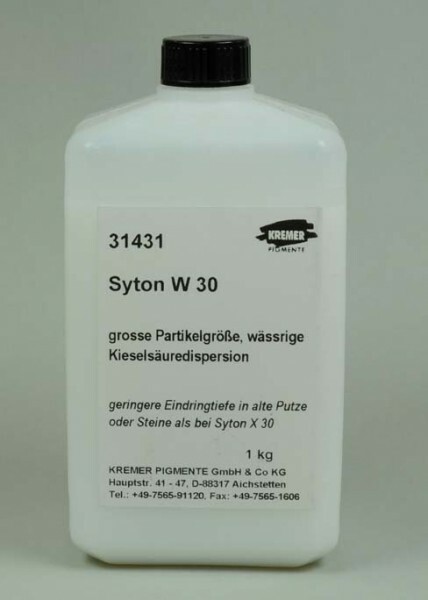 Syton® W 30 | Waterglass & other Silicate Binding Medias | Water-soluble Binders | Mediums, Binders & Glues | Kremer Pigments Inc. Protect against frost and heat. Minimum store temperature 2°C. Customer evaluation for "Syton® W 30"